The Simpsons is set in Springfield because Matt Groenig's hometown is Springfield, Oregon. Capital City is Salem. I don't think it's coincidence that "The Simpsons" is also set in Springfield. After all, "The Simpsons" is just "Father Knows Best" set on its ear. Matt Groening, I am sure had that in mind. 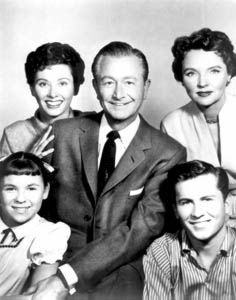 Father Knows Best was set in a town called Springfield, so ironically it's also the home of the Simpsons. It always made me question what was wrong with my family. Nothing like FKB. What a relief later on to find out that Father was an raging out-of-control alcoholic. Almost made my family seem normal.